PreHab Diabetes Services has been a major, reliable provider of diabetes supplies since 2002. 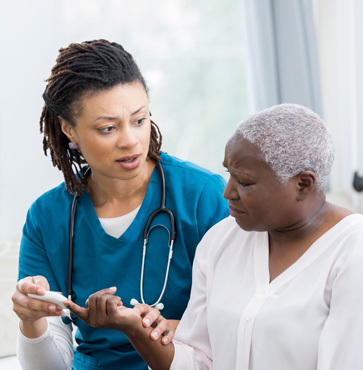 Headquartered in Montgomery, Alabama, PreHab is a full-service diabetes supply company specializing in providing diabetes supplies for Medicare patients and those with commercial insurance plans, including HMOs and PPOs. PreHab Diabetes Services is BOC (Board of Certification) accredited, which means we meet the standards for quality patient care by offering highly valued credentials for professionals and suppliers of comprehensive orthotic and prosthetic (O&P) care and durable medical equipment (DME). Our executive team consists of CEO and owner Robert Tate, COO/CFO Ted Bridges, and Legal Counsel/Compliance Officer Mickey McDermott. Patients choose PreHab Diabetes Services for their diabetes supply needs because of our excellent patient care and supply ordering efficiency. Where most mail-order supply companies work from a model based on volume, PreHab Diabetes Services is patient-centered. You can expect to speak with the same patient care specialist each time you need to place an order or have any questions regarding your supplies. Also, PreHab can provide supplies for all insulin pumps on the market. At PreHab, we understand that medical costs can be one of the largest expenses for people managing diabetes. That’s why we work with patients to structure payments to fit your budget. That allows you to have some financial flexibility without jeopardizing the delivery of your supplies in a timely manner. For more information about PreHab Diabetes Services or to place an order, call us today at (334) 270-1630 or contact us using our convenient online form.